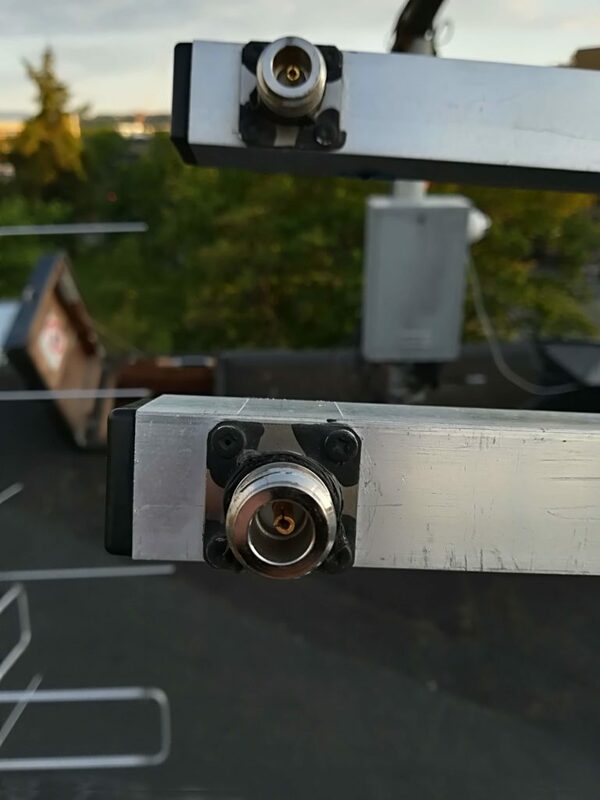 Previously we wrote about the woes of being a northern amateur, and how the phasing harness for our 2 m station had broken due to a coaxial cable with too low temperature rating. Now we are back with a blogpost showing how we fixed ourselves a new phasing harness from scratch (almost). A phasing harness is a device which combines a set of antennas with a certain phase relationship. 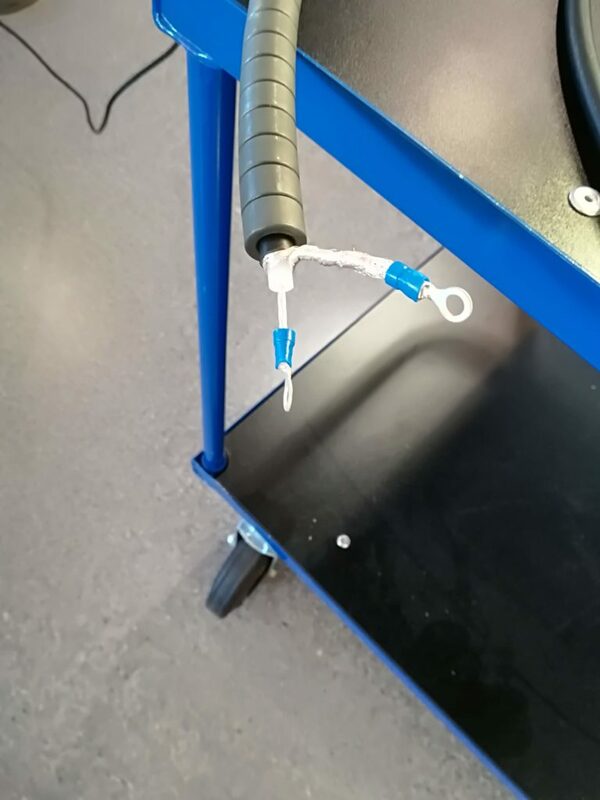 One way to implement it is by using a power divider (any kind) and a set of cables with known length. In our case the mission is quite simple. 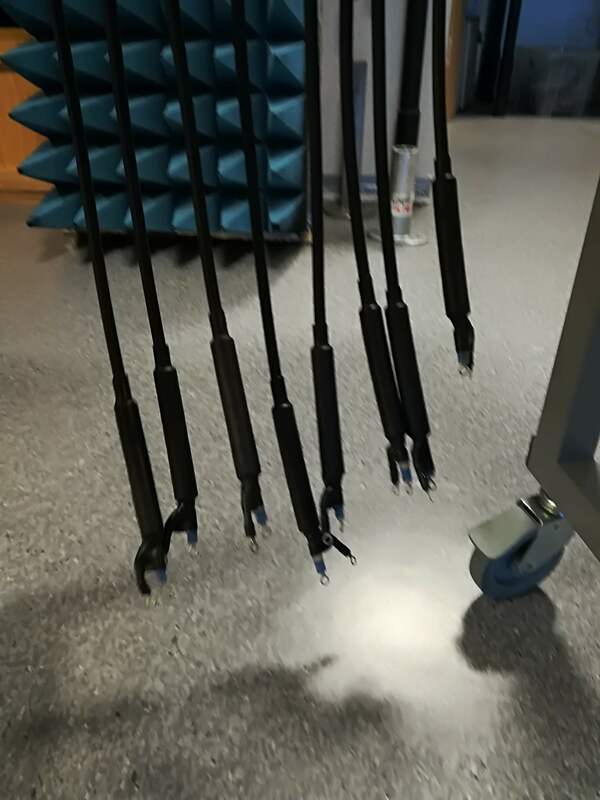 Since we have four antennas, with both horizontal and vertical polarizations, we need eight cables. The sets of four should have equal phase, because this is what gives the highest gain along the boresight of the antenna array. For a more thorough walk-through of this topic, this is a good source. If you are doing more fancy stuff, e.g phased array or four-square antennas, a phasing harness is replaced by a phase shifter. 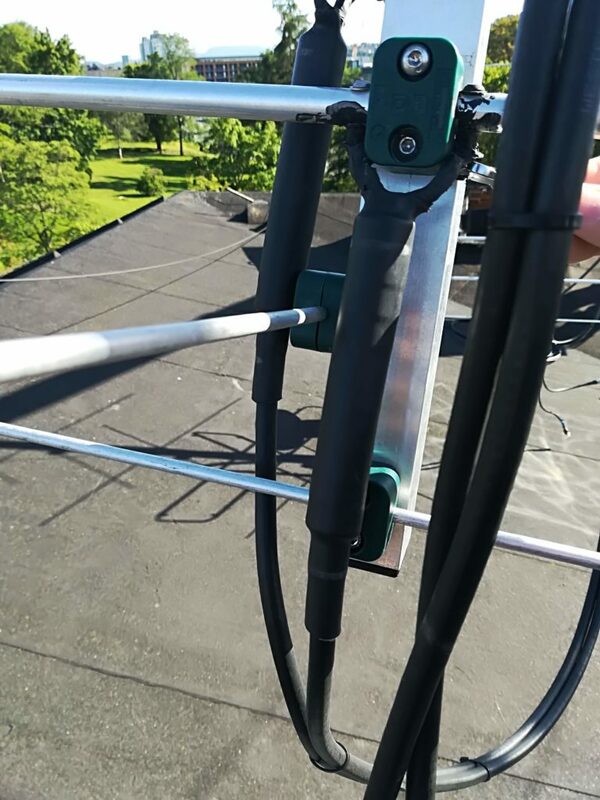 For those applications the idea is to combine the antennas with different phases in order to move the antenna pattern, rather than mechanically moving it like we are going to do with our 2 m array. LB6RH posing next to the not-broken power dividers. Back to the problem at hand, we already have two working splitters that divide/combine four sources to one source. This is the part where we almost made the entire phasing harness, because to our surprise the splitters actually did not break. For a future project it would be cool to make our own version of this type of splitter, PE0SAT has a good article on these devices – looks like a fun build! The old phasing cables also incorporated the feed balun for the loop yagi. We chose to simply copy the design from the old phasing harness. 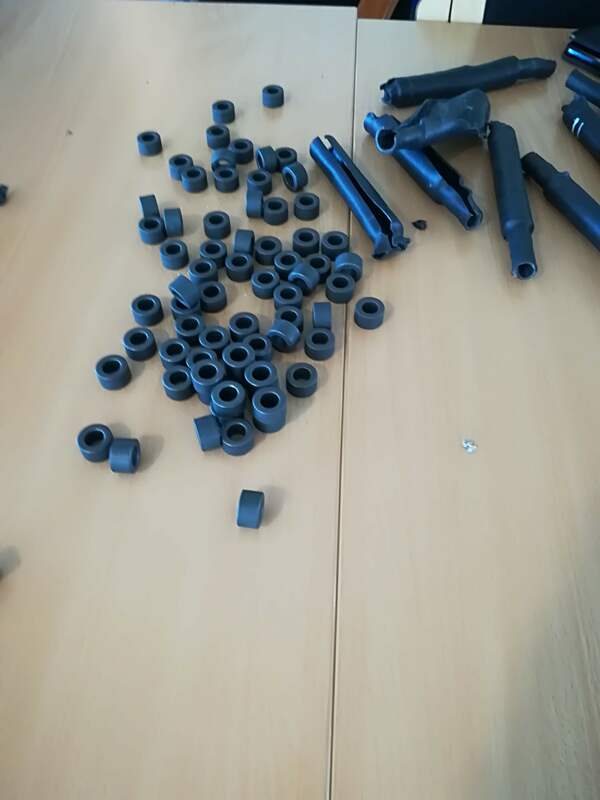 This was a lot easier – since we didn’t need to source what turns of the be approximately a metric tonne of ferrite toroids for the baluns. We dismantled the old coaxes, and harvested the parts we needed from them. LB6RH hard at work during this year’s toroid harvest. 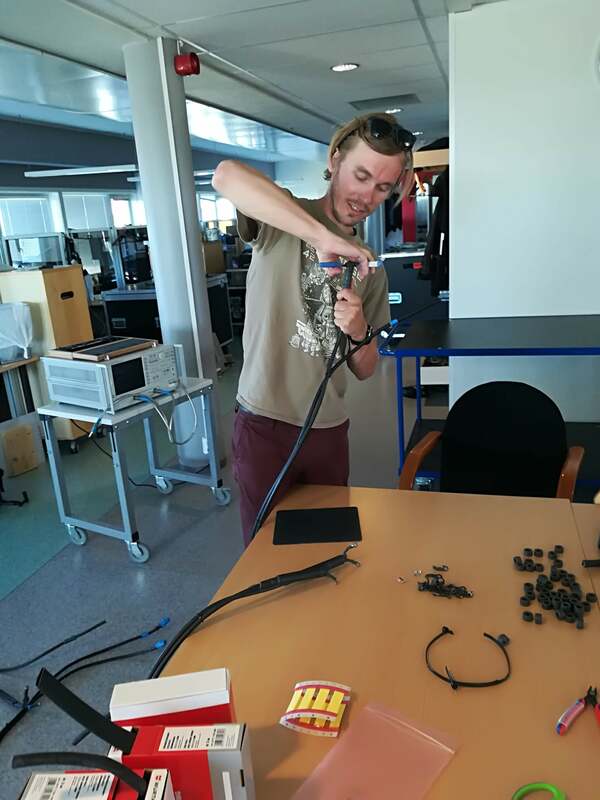 For the new cables we got in touch with Bjørn – LA9IY, a long time ARKer who currently works at Kongsberg Seatex. Seatex use maritime grade RG-214 for one of their products, and they were nice enough to donate some to us for this purpose. This RG-214 is specified down to temperatures of -50° C, so hopefully we should be safe this time around. The next part was creating 8 sets of equally long cables. 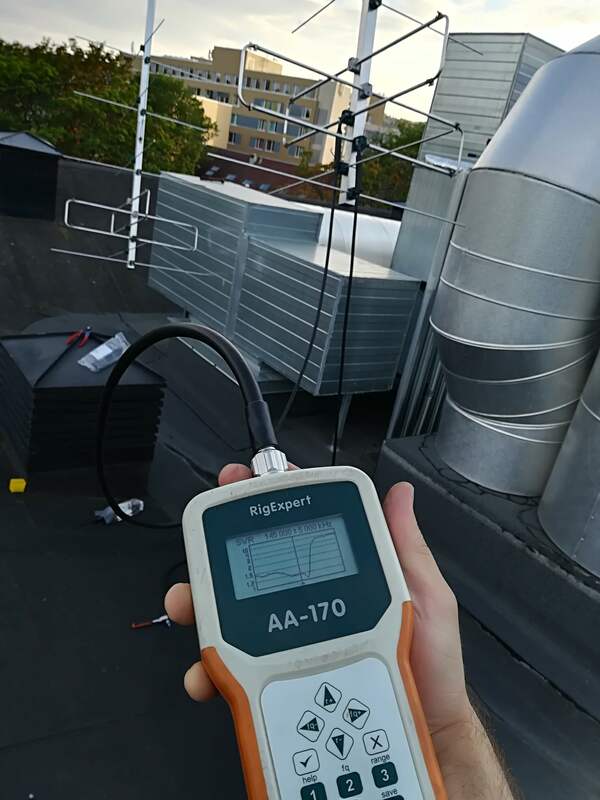 Luckily the wavelength is long enough on 2 m, so that the needed accuracy is doable by hand. Shortly after this we hit our first snag. 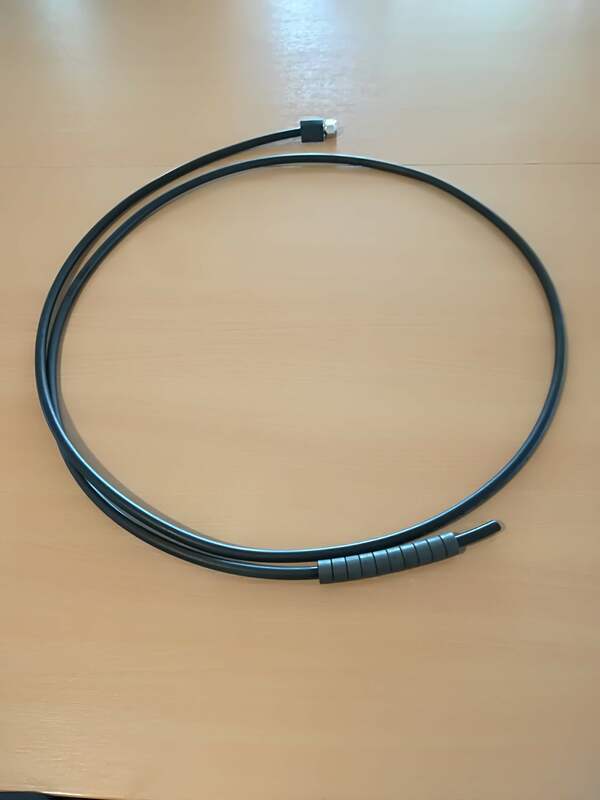 The toroids were just barely able to fit onto the new cable, which is 0.2 mm thicker than the old Westflex 103. Some of the toroids have tighter spacing than others, and no matter what brand of lubrication we used, they would not fit! The hot weather inspired a creative solution. 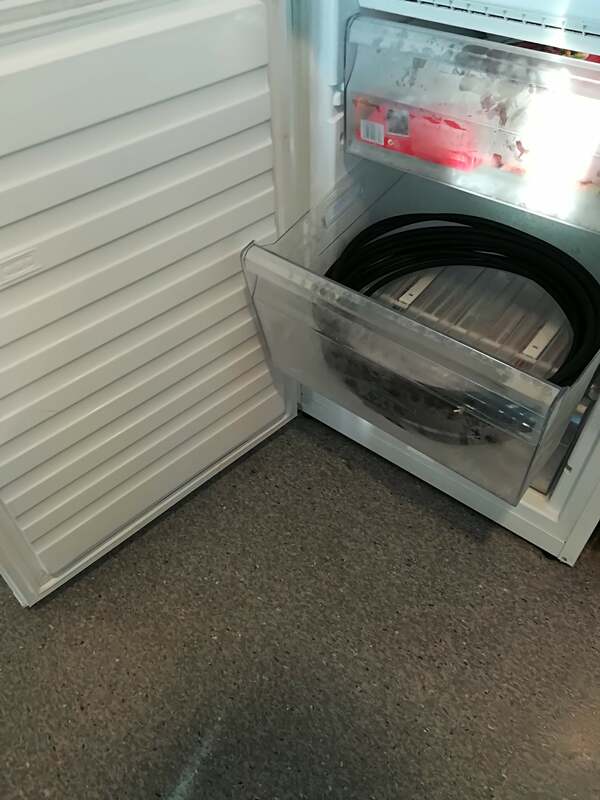 By freezing the cables, they would shrink just enough for the toroids to fit. Fast forward a couple of hours, and we had all the toroids threaded, all the braids unbraided, all the connectors and terminals crimped, and all the shrink tubing shrunken into place. The cables were more or less ready, but we still needed a way to verify that they would work as intended once installed. 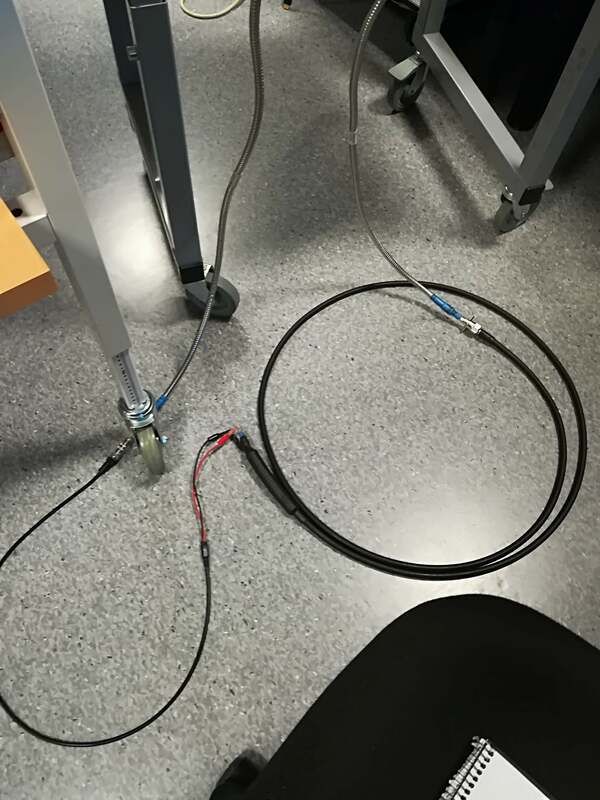 What we came up with was a way to measure relative phase difference between each set of cables by viewing the phase portion of a S21 measurement from a network analyzer. 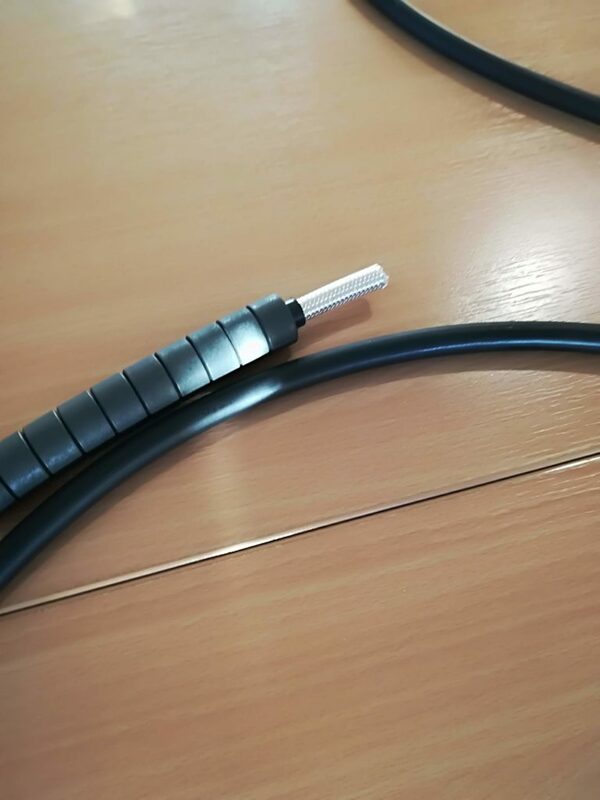 On one end we used a random BNC to banana plug transition to be able to connect to the balanced side of the cable, and on the other we used a N-female connector. While the BNC to banana plug is quite inaccurate, it is not a large degradation of the measurement since it is the same across all measurements. 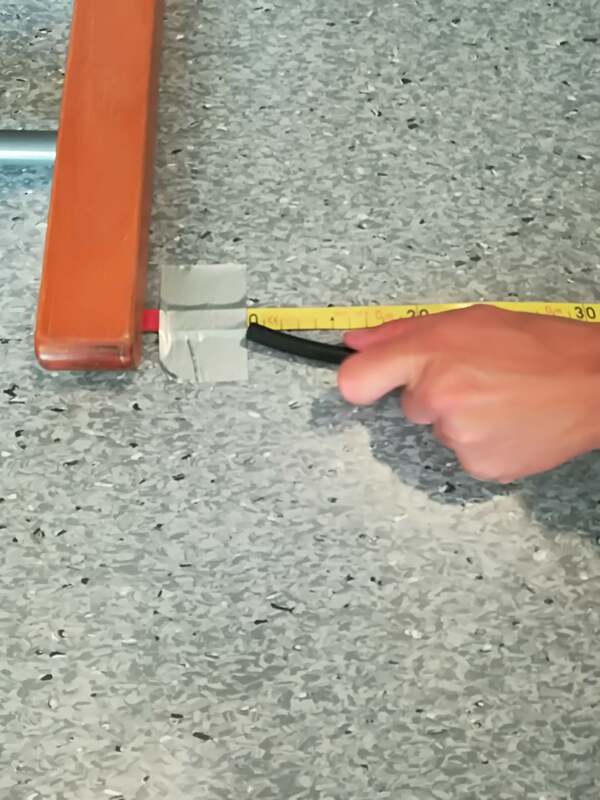 Our guesstimate is that this measurement setup should be able to measure the phase difference between different cables down to atleast +/- 3 degrees. 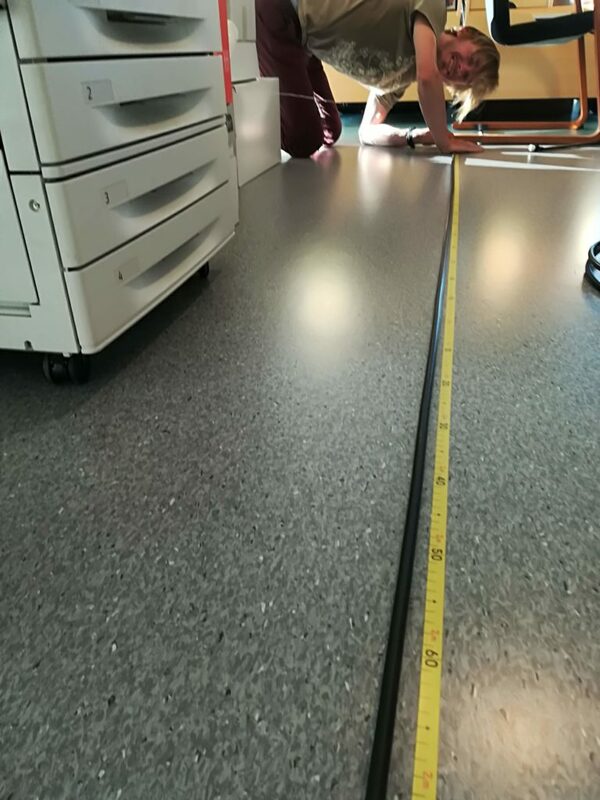 The relative phase measurement setup as seen on the floor. Network analyzer displaying a phase measurement. The results were the following phases, which we later on split into a horizontal group and vertical group, so that the spread among each set was minimized. We were extremely satisfied with these results, and went right on to install the harnesses. The array stripped of all phasing cables. 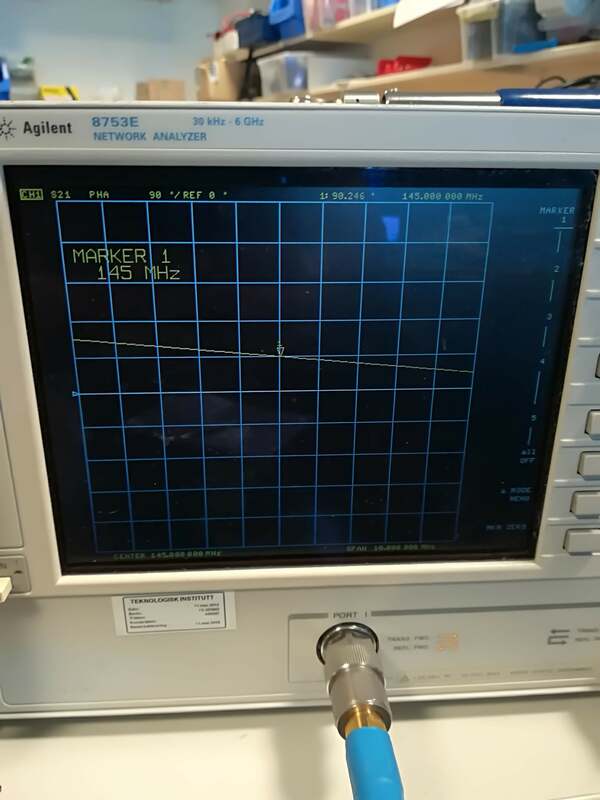 Measuring the SWR of a single antenna (note high SWR from 146 MHz and onwards). 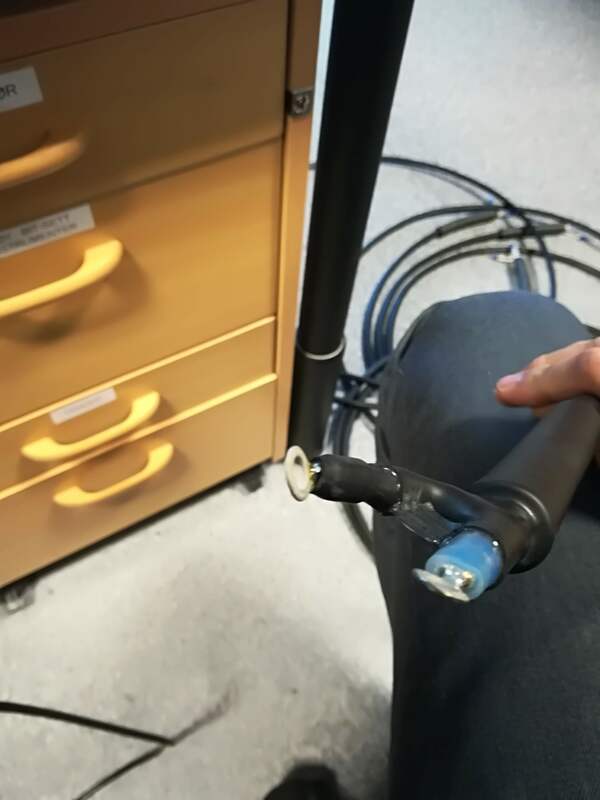 Some minute damage to the N-connector in the power divider – easily fixed with some careful screwdriver prodding. 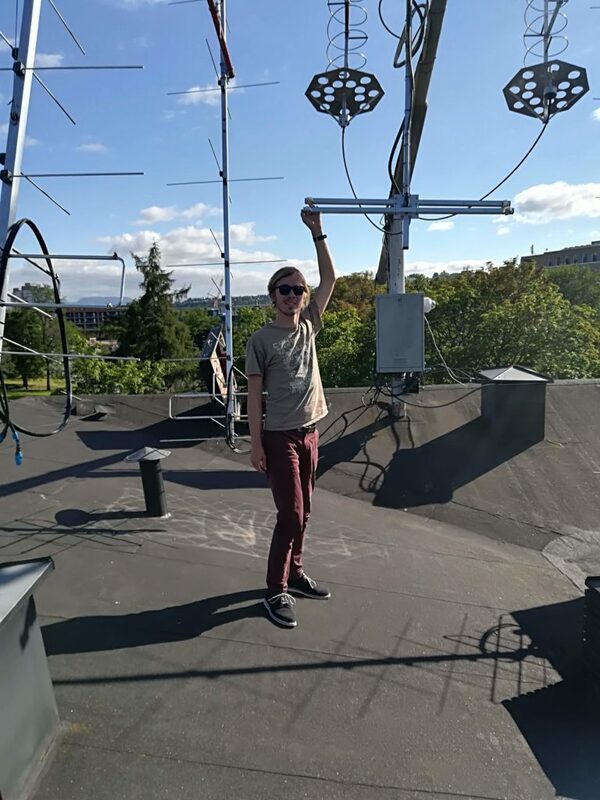 Everything went quite smoothly, all individual antennas responded well to their new cables/baluns. The antennas are intentionally tuned to work low in the band, as most EME activity happens around 144.1 MHz. This means that the array will not be that great for satellite work, although it will probably be able to decode fine due to its sheer size. The new phasing harness is in place, and the vertical polarization measures fine after the 4:1 combiner. Another breakage-point seems to have occurred on the feed cable for horizontal polarization, as the cable measures above 4 in SWR when terminated in 50 Ohms. This should be a relatively quick fix – but it will have to wait for next week. 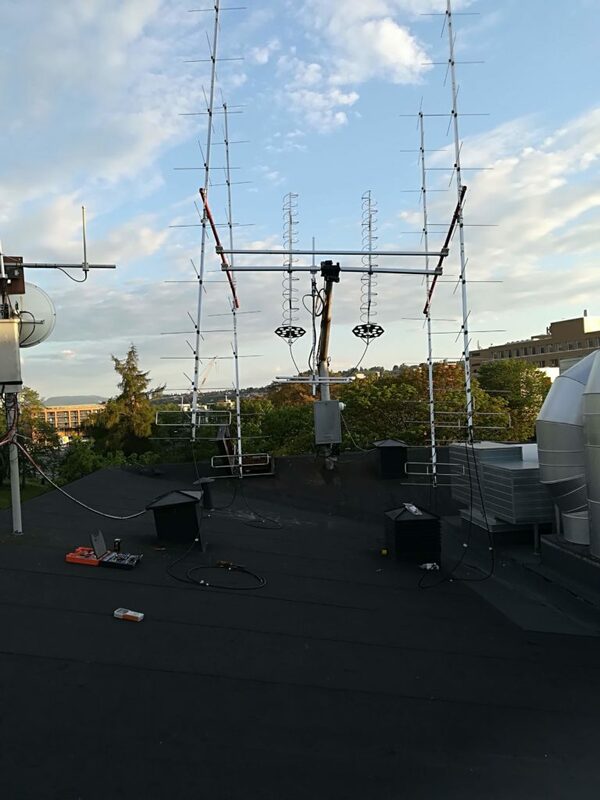 We are very excited to be making progress on the 2 m EME station again, and have a lot of things that we would like to try in the near future. 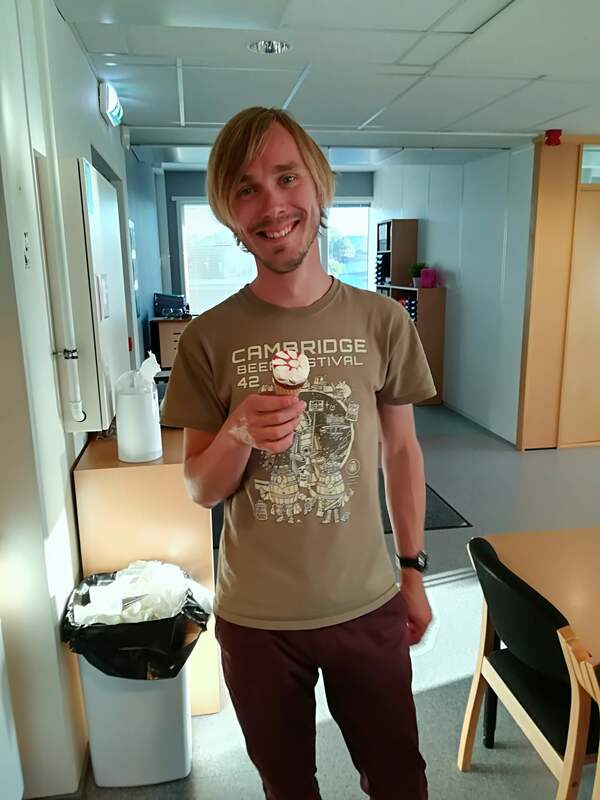 For now we would like to thank Bjørn and Kongsberg Seatex once more for their generous donation.